Contact our experts today for guaranteed service by friendly professionals! 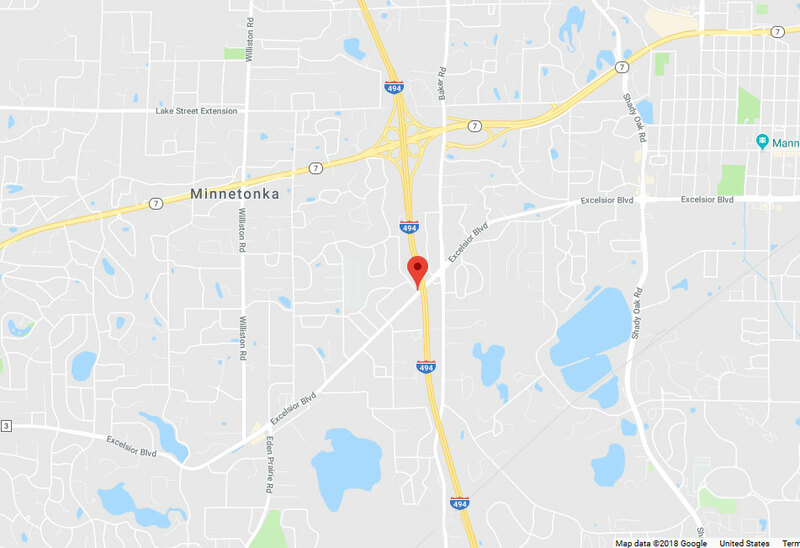 Residents of Minnetonka, MN are in luck! 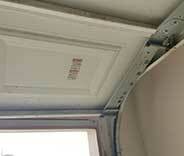 If your garage door starts acting up for any reason whatsoever, all you need to do is get in touch with us. 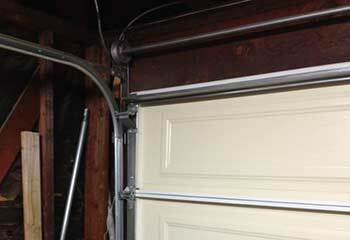 Whether it's a broken spring that's keeping the door from opening, or a problem with the opener that won't let you use your remote, you can rest assured that there's no better garage door service company around than us. It's been over a decade now since our team started helping local homeowners in Chanhassen and those who reside closer to Hopkins with their automatic door systems. During that time, our experts have acquired a vast wealth of skills and experience, which now allows us to offer a professional solution to any type of problem you may experience. When you contact our team, you don't have to wait very long. While our professional technicians aren't exactly roaming the streets in search of garage door problems they can solve, our response time is very fast, and our company maintains a same day service policy. That means that if you require some type of emergency repairs, you'll get the fast response you're looking for from us. Whether you live in Eden Prairie or somewhere near Plymouth doesn't matter as our service area is vast and extensive. If it's time for you to upgrade your system, there's no one better to talk to than our experts. Why go through the trouble of doing mountains of research when you can simply consult with professionals who will provide all the information you need to make an informed decision? Our team will explain the different benefits a chain drive unit offers over a belt drive opener, and vice versa, and see to it that you don't neglect to consider the latest technological innovations that many models offer today. There's a wide range of products for you to choose from, made by industry leading brands like LiftMaster, Genie and Chamberlain. Another key benefit that your garage door offers is enhancing your home security. Because it's such a large moving part of your property, burglars often try to utilize the door in order to gain entry. That can be an easy, one minute fidget with a crow bar, or a major hassle that's not worth it. It all depends on the quality of your garage door, and the material it's made of. Understanding the different benefits, downsides, and maintenance requirements that steel, wood, and other materials like aluminum or vinyl have to offer is important if you want to make sure you're making the right choice. That's where our experts come in. If you live in Shakopee or any of its surrounding areas, you can leave it to us. Our team will provide all the information you require, and help you find a quality new door from major manufacturers like Clopay, Amarr, and Windsor. Don’t' stress. If you encounter any type of problem with your automatic door, or you require anything from spring repair to panel replacement, you've already found the right team for the job. Our service area reaches all the way from Edina to as far as the eye can see. All you need to do is get in touch with us, which you can do by calling our service hotline, or using our online scheduling system. We strive for the best in everything we do, from repairing or replacing a faulty garage door opener or fixing a broken spring, to installing new doors. Our technicians have the skills and competence to get your stuck garage door moving again and respond with urgency to requests for assistance. 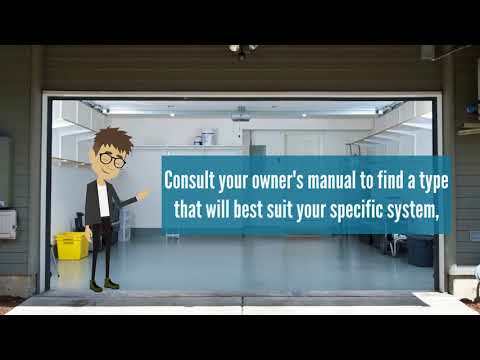 All the parts we replace or install are compatible with the leading garage door manufacturer brands and are backed by a warranty for your complete peace of mind. Contact us today to get the best garage door repair services in Minnetonka! Find out how we work by reading more about our latest garage door repair projects in Minnetonka to hire us with confidence when you need help. One of our customers called us because her door got damaged. Click here to learn how we were able to help. This customer called us because his door was acting up. Click here to find out what we did to help. 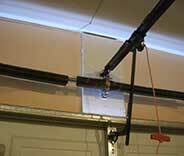 When your garage door stops working all of a sudden, the problem is most likely a broken spring. Discover how we solved it recently. 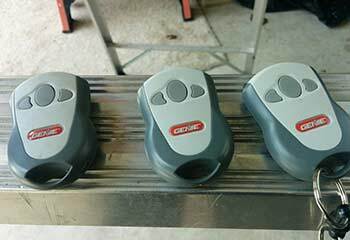 Garage door remote controls can cause some serious problems, but we’re here to solve them. Discover how we helped a customer recently. 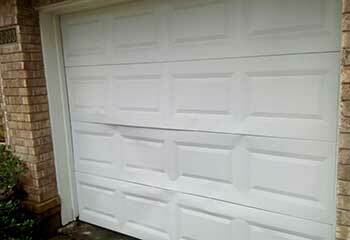 Count on us to help you out fast, if your garage door is off track. See how we solved such a problem for a customer in Minnetonka. Our garage door went off track and a neighbor said I should call this company. Their service tech was great! He arrived fast, replaced a bent track, and now the door works perfectly! Super service! This company really responded fast to my call when my door opener stopped working. They replaced some broken parts, and it's working perfectly again. Fantastic service and very affordable! I thought we needed to replace our garage door but the tech from this company saved the day! He fixed the problems we were having fast and for a great price. Definitely recommend their services! Our door opener was making noises and stopping half way up so we called these guys to replace it. Their technician was honest and repaired it for a very reasonable price, saving us a lot! Thanks for great service! We had a broken spring replaced today by this company and our door works like new again. Their technician was super. He was very friendly and did excellent work. Highly recommended! A cable to our garage door broke and it was frozen shut. Thankfully the technician from this company arrived fast! He replaced it in less than an hour. Excellent service and very reasonably priced! 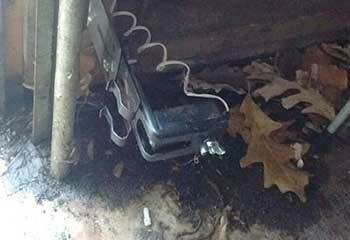 You repaired my chain drive garage door opener with great skill and in the shortest imaginable time. Thank you for the professional work and the fair price. You replaced my broken garage door spring in no time and lubricated it and adjusted it with impressive precision. I couldn’t have asked for a better professional service. 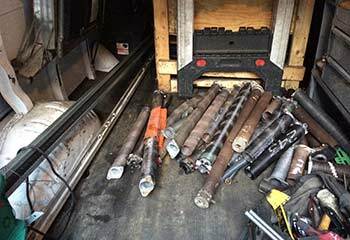 I’m happy I hired your company for my garage door replacement project. You helped me a lot with choosing the right insulated unit and installed it accurately and quickly. Great work!